08 Oct Repeat reorders virtual tours for its shops in Bern and Basel. 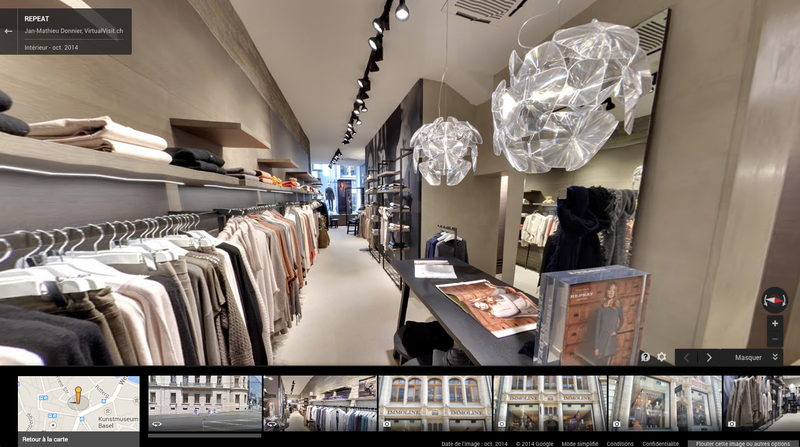 Repeat, a brand specialized in cashmere clothes, asked globalvision to realize a virtual tour for its shop in Basel. Repeat already asked the virtual communication agency to realize a virtual tour of its Geneva shop in 2013. To realize a virtual tour is the best way to highlight your establishment. The company gives a modern and dynamic image of itself. For your customers it’s also an original way to discover your collections and products. To get more information, please go to the virtual tour page or contact globalvision‘s team.